Board of Trustees – Quantitative Aquatics, Inc.
Dr. Cornelia Nauen holds a PhD in fisheries science from Kiel University, Germany. 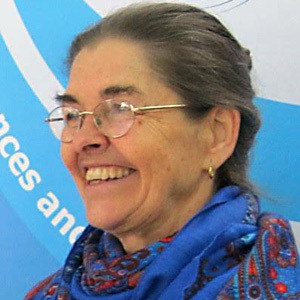 She worked in FAO’s Fisheries Department on aquatic and coastal pollution issues and later in the species identification programme. Between 1986 and 2012, she served in the European Commission in development cooperation and international science cooperation. There she helped fund the early stages of FishBase. Critically engaged science to support policy and action for social inclusion and sustainable living and being were a major focus. Since 2010 she heads the international non-profit association Mundus maris – Sciences and Arts for Sustainability. Mundus maris seeks to combine scientific concepts with practice embedded in local and global cultural spaces. It supports awareness-raising and education about the ocean, e.g., through promoting conversations that matter and enable action. In May 2014, she co-hosted the international Roundtable “Spaceship Earth” at the Peter Wall Institute for Advanced Studies, UBC in Vancouver. 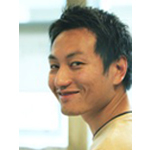 Dr. William Cheung (PhD) is an Associate Professor at the Institute for the Oceans and Fisheries, UBC and the Director of Science of the Nippon Foundation-UBC Nereus Program. His main research areas include understanding the responses and vulnerabilities of marine ecosystems and fisheries to global change, and examining trade-offs in managing and conserving living marine resources. His works cut across multiple disciplines, from oceanography to ecology, economics and social sciences, and range from local to global scales. Benjamin Vallejo Jr. (PhD) works as Associate Professor at the University of the Philippines-Diliman where he teaches Biogeography, Environmental Science, and Science, Technology and Society. His research work deals with the biogeography of the Philippines and Wallacea, coastal and intertidal ecology, urban environments and the biology of invasive species. Flor Maclean owned and operated Directions Marketing Consultants Services from 1993 to 2005. She represented consulting firms from various sectors at ADB, USAID and World Bank. She was Secretary to the Board of Directors at Kaibigan Ermita Outreach Foundation for ten years. Kaibigan is an organization that supports to establish better living conditions to more than 450 street children. Currently, Flor is the Board Chairman of Action for Care and Development of the Poor in the Philippines (ACAP), a foundation which helps marginalized children get access to education and regular art session therapy. 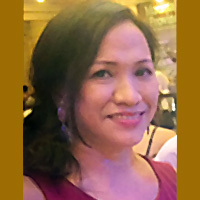 Maria Lourdes Palomares is the Sea Around Us Project Manager since June 2017. She is one of the creators of and is the lead of SeaLifeBase (since 2005), a biodiversity information system on the world’s marine organisms other than fish, which is patterned after FishBase (i.e., the fish biodiversity information system on the world’s fishes). Deng helps with molding the scientific thrusts (e.g., in defining projects, and the work-flow associated in producing deliverables in a timely manner) of the Philippine NGO, Quantitative Aquatics, as its Science Director. 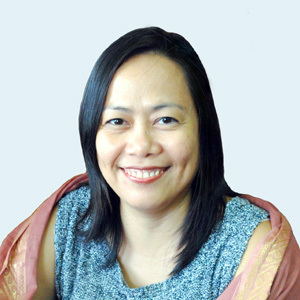 She serves as Specialty Chief Editor of Frontiers in Marine Science’s section on Marine Fisheries, Aquaculture and Living Resources (since 2016). 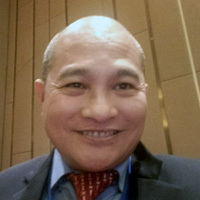 Originally from the Philippines, Deng obtained a PhD from the Ecole Nationale Supérieure Agronomique de Toulouse (France) in 1991 and worked with the FishBase Project at the International Center for Living Aquatic Resources Management (Manila, Philippines) for 10 years before joining the Sea Around Us team in 2001.